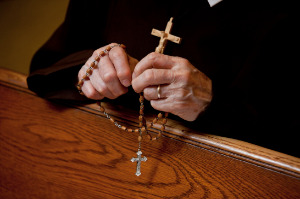 The vowed religious life is not the only choice for those who would walk in the footsteps of Blessed Mary Angela. 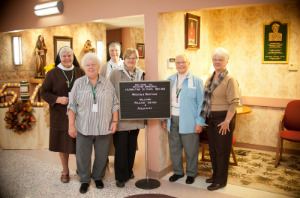 Felician Associates are lay men and women who support and promote the mission of the Felician Sisters with compassion and mercy as they cooperate with Christ in the spiritual renewal of the world. Who can become a Felician Associate? Felician Associates are individuals from a variety of backgrounds, occupations, and life experiences. 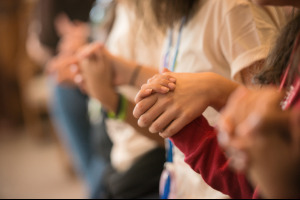 They are men and women eighteen years of age or older, single and married, widowed and divorced, mothers and fathers, college students, young professionals, and retirees who are united in their desire to embrace the Felician charism and mission. Associates maintain their choice of work and life situations and are financially independent. What does being an Associate include? How do I become a Felician Associate? 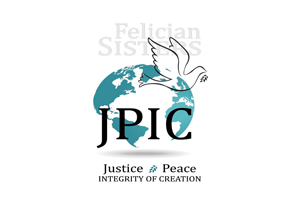 If you would like to learn more about the Felician Sisters and the Felician Associates in your area or how to begin the inquiry and discernment process, please contact the area coordinator nearest you. For more information about the Felician Associates, please contact your area coordinator or program coordinator Mercedes Mann at 847-906-4019.